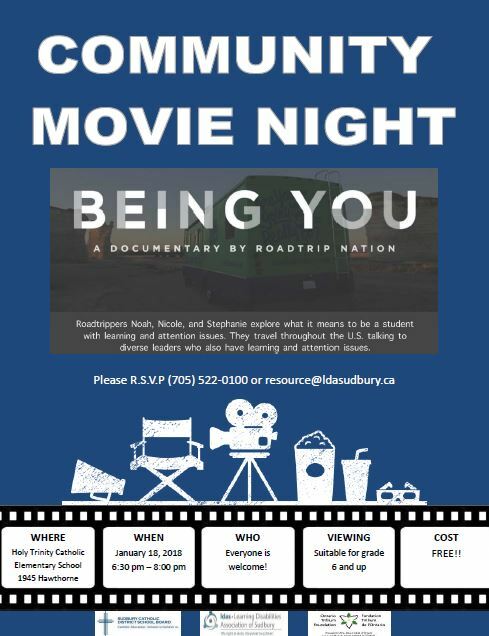 We will be hosting a FREE movie night on Jan 18th at Holy Trinity Catholic Elementary School. The Event runs from 6:30pm – 8:00pm. 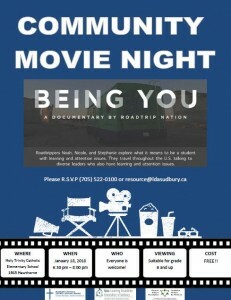 The movie Being You is a documentary by Roadtrip Nation. Follow roadtrippers Noah, Nicole, and Stephanie explore what it means to be a student with learning and attention issues. They travel throughout the U.S. talking to diverse leaders who also have learning and attention issues.